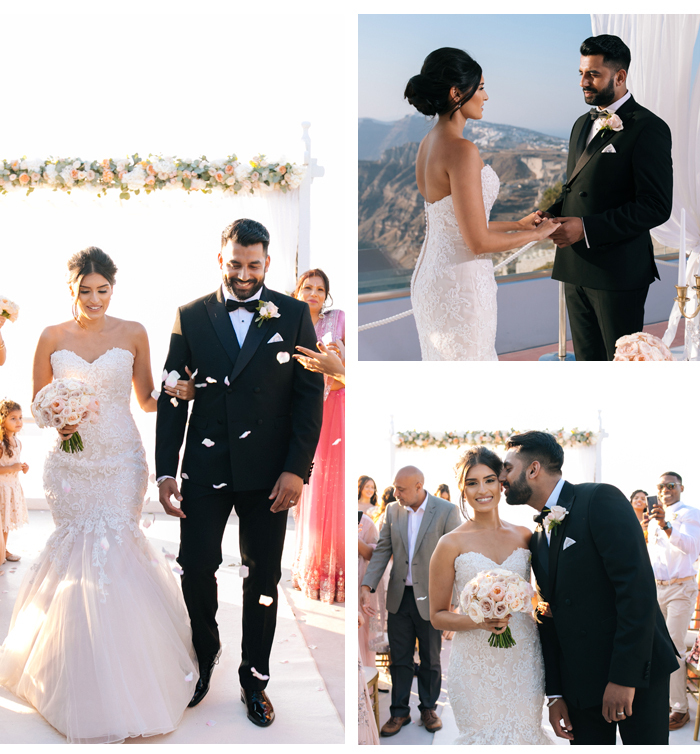 Nuvee Rai married Sandeep Butoy on 28th August 2017 in Santorini. She says: “Sandeep went to college with my sister, and when they ran into each other, she introduced us. We’d known each other for six months before he asked me out and were together for more than a year before he proposed. 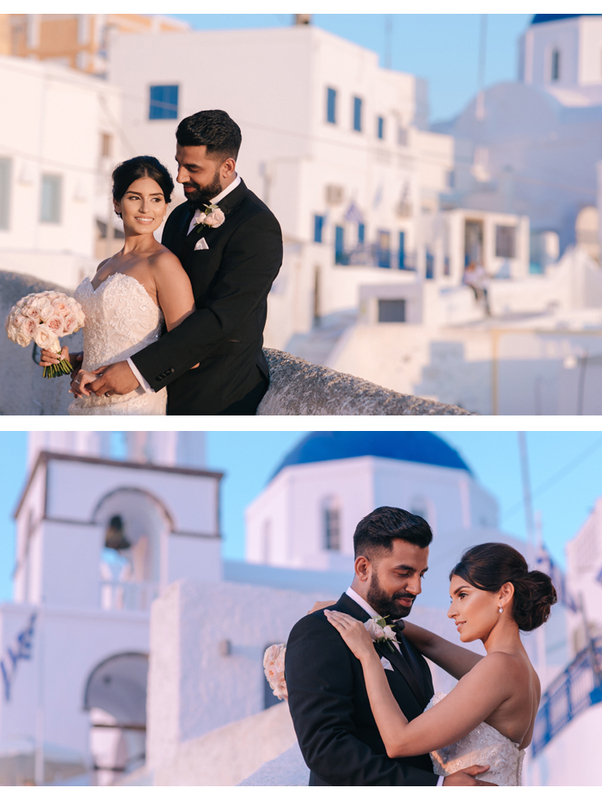 I organised the day with Shaneela, a wedding planner who had her own wedding in Santorini, so really knew her stuff. 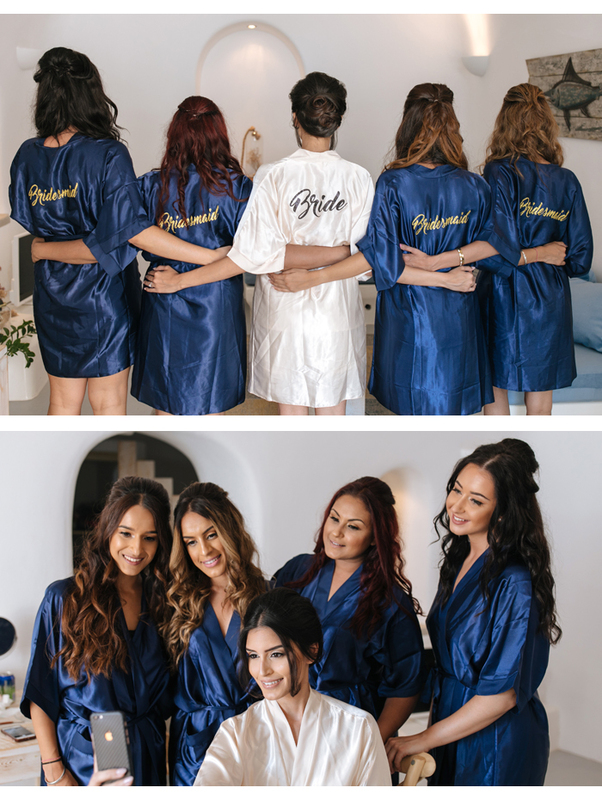 Sandeep and my family didn’t have much input... or rather, I didn’t let them - that’s probably why they branded me a bridezilla for a year!" 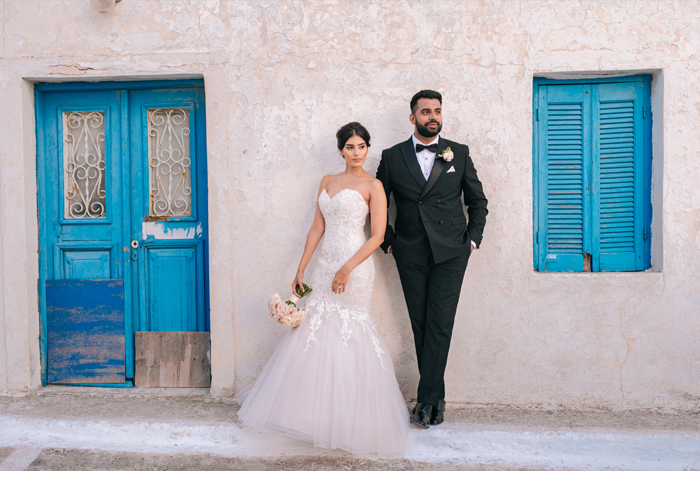 “Our planner Shaneela was amazing, arranging meetings and viewings and liaising with suppliers. 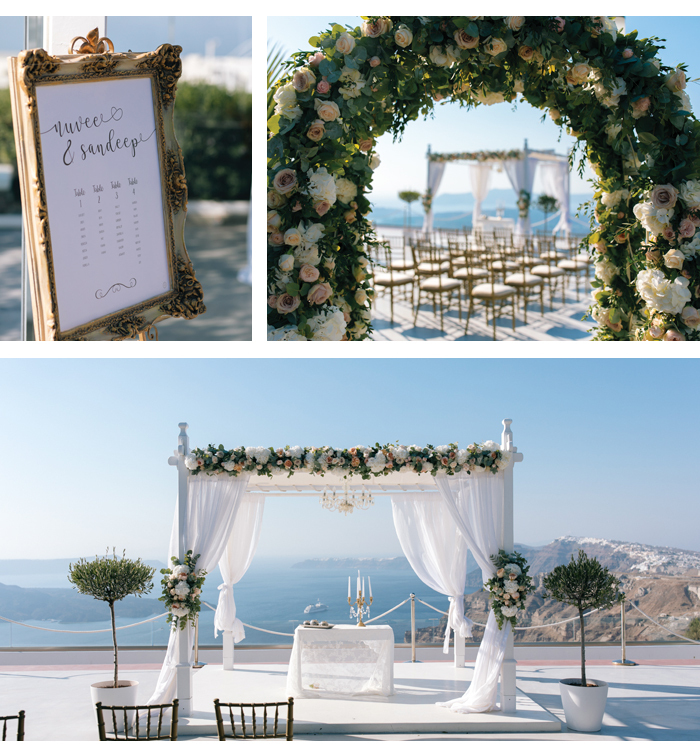 I saw four venues before choosing Santorini Gem, which had a sunset terrace with breathtaking views. It was also the only venue that had a long aisle and could accommodate our guestlist. 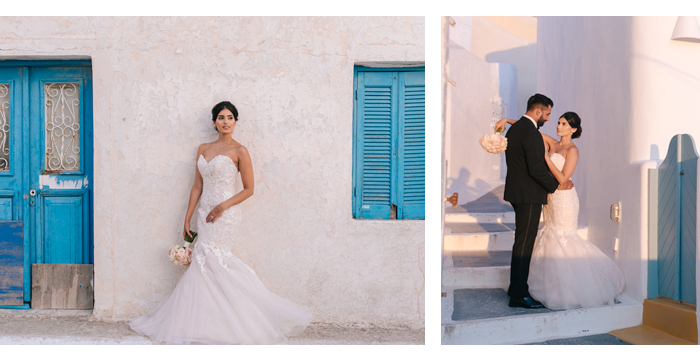 “My dress was from Wed2b which I wore with simple earrings and a hair clip from Debenhams. 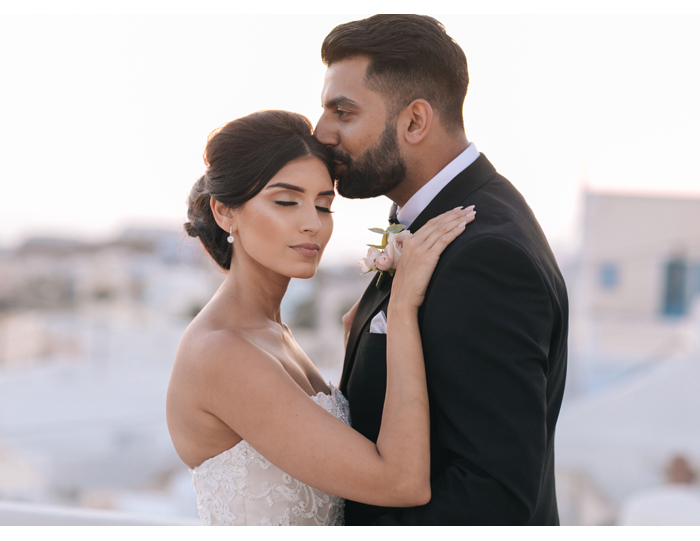 As I model, I’m lucky to have worked with lots of talented makeup artists but after meeting Reena Thind, I knew she would deliver. 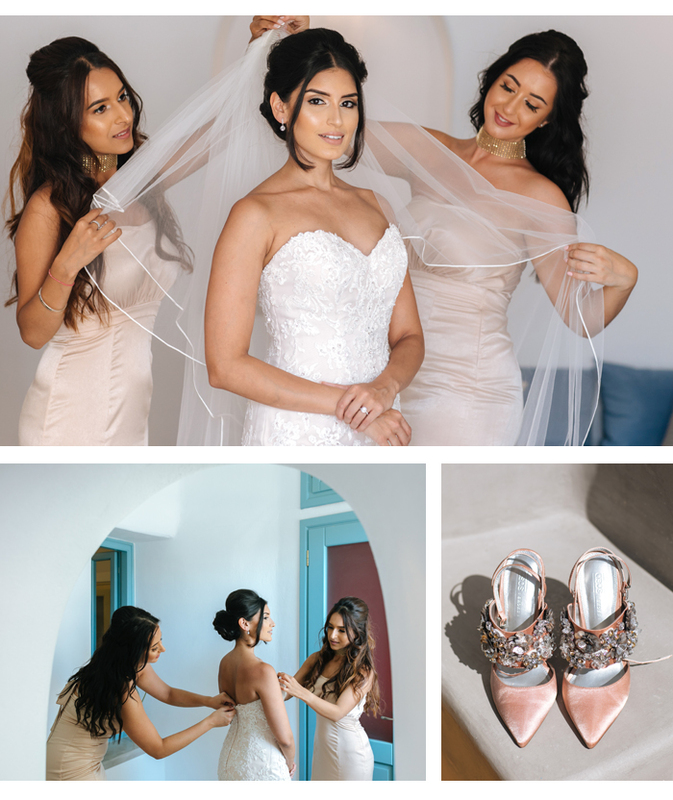 To avoid competing against the views I kept my makeup simple with a natural, sunkissed glow." "It was a very natural, an intimate surrounding which was further highlighted with dozens of romantic candles. 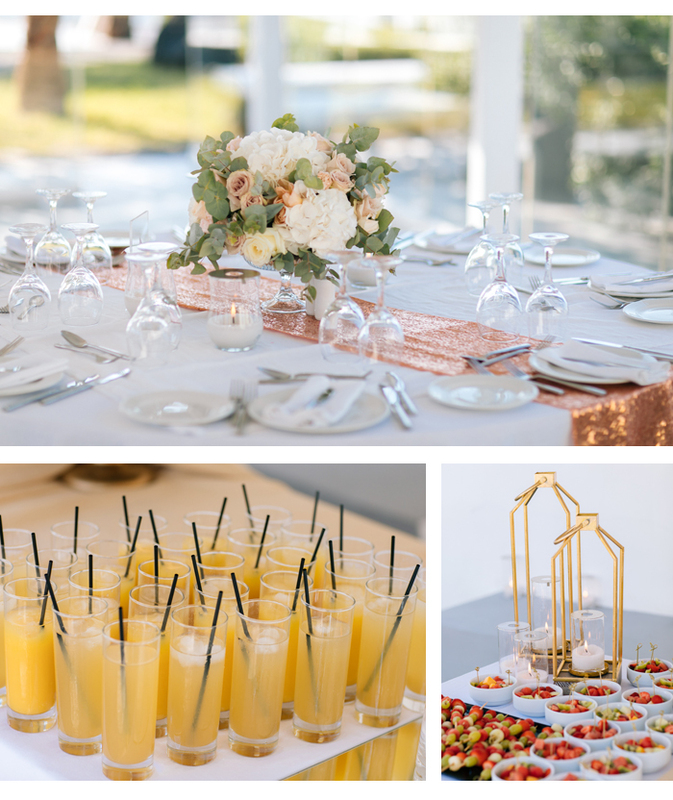 I had a stunning floral archway which was simple and elegant to match the surrounding area as well as to complement the sunset reception. We had local traditional musicians to keep our guests entertained while they enjoyed drinks and canapés. Our first dance was John Legend ‘You and I’. It was so dreamlike and exactly how we imagined it. Halfway through the dance Sandeep made it even more magical with a surprise firework display!"